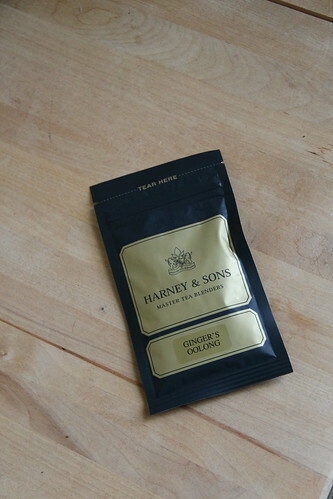 Today I decided to try Ginger’s Oolong from Harney & Sons. 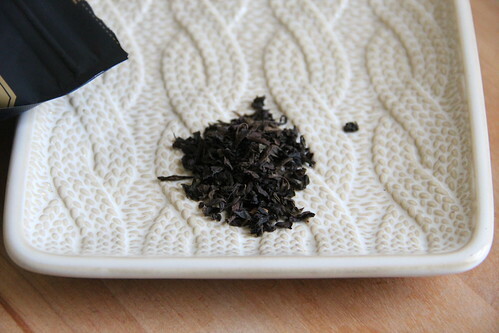 I really tend to like oolongs because they offer the best of darker teas, while still being smooth and a bit less bitter. From the website: ginger is added to a peachy Formosa oolong. Ginger’s Oolong is available in a variety of sizes: sample for $2.00, 3oz for $6.75, 5oz for $12.00 and lb for $20.00. When I opened the package I smelled tangy ginger and the oolong tea underneath. While I was brewing it I got a really earthy smell. The tea itself was a mild peachy ginger. I think this would be great as an afternoon tea, and also useful if you wanted to settle your stomach.